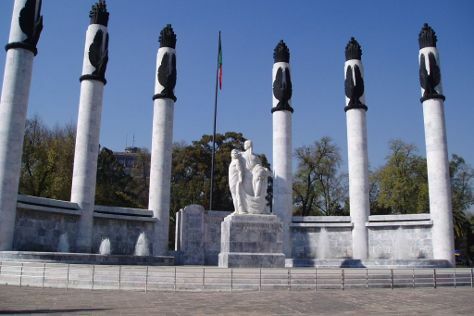 Chapultepec Park and National Museum of Anthropology (Museo Nacional de Antropologia) are good opportunities to explore the local culture. Step off the beaten path and head to Piedra Herrada Sanctuary and Tinta Naranja Urban Gallery. Change things up with a short trip to Tepozteco in Tepoztlan (about 1h 20 min away). The adventure continues: admire the masterpieces at Palacio de Bellas Artes, explore the ancient world of Templo Mayor Museum, contemplate the long history of Chapultepec Castle, and appreciate the extensive heritage of Historic Center (Centro Historico). To see photos, reviews, other places to visit, and other tourist information, you can read our Mexico City itinerary builder. If you are flying in from Netherlands, the closest major airports are Licenciado Benito Juarez International Airport, Licenciado Adolfo Lopez Mateos International Airport and Querétaro Intercontinental Airport. In November, daily temperatures in Mexico City can reach 25°C, while at night they dip to 11°C. Finish your sightseeing early on the 18th (Sat) so you can travel back home.